At the UK Powershell user group James used Netmap, I was intrigued with this and what it could do, with a few lines to integrate this into the VI toolkit I managed to get a nice map of which VM’s were on each host. Download Netmap here and try it for yourself…. Im also working on a Visio script which will produce a much more pleasing to the eye report…Watch this space and let me know if you would like to test it for me in its early phases. Did you get the Visio alternative done? Alan recent versions of the nmap package under windows comes with zenmap.exe as a visual viewer. Was there an earlier “show-netmap” binary in nmap? 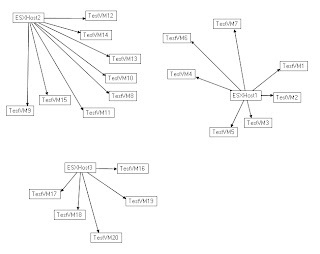 Simply passing the csv to zenmap instead of show-netmap does not work. Any ideas? Did you ever get the Visio portion of this setup? Would love to see it. You will need to download the netmap stuff from the link in the post and add my code to it. Drop me a mail and I will send you the Visio stuff when its ready, would also be interested to see the results of a global installation. I would also be intersted in testing your Visio script. 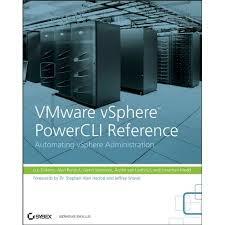 We have a very large global vmware installation and would be intersted in the results. why do I get the error – “The term ‘show-netmap’ is not recognized as a cmdlet, funtion, operable program, or script file.” What do i need to load in PS to get that cmdlet?